Then–Majority Leader Tom “The Hammer” DeLay resorted to bribes and threats to get a Medicare prescription drug bill through the House. Will we see these tactics again? Photo: Scott J. Ferrell/CQ-Roll Call,Inc. As we prepare for a potentially tense evening of arm-twisting and vote-whipping in the U.S. House of Representatives over the GOP’s American Health Care Act, old-timers may recall the last time Republicans enacted major health-care legislation: the Medicare prescription drug bill of 2003, enacted over the objections of a coalition of Democrats and conservative Republicans. The parallels are pretty striking. As is the case now, a new GOP “trifecta” (Republicans had reclaimed the Senate in 2002) was trying to fulfill a key campaign promise on which both parties had competed. Just like now, a Republican president was deeply involved (Medicare drug coverage was a key George W. Bush initiative). There was a lot of deception about the costs and benefits of the bill (the administration suppressed an inconvenient report on that subject from its own actuaries). Conservatives attacked the bill as representing a “new entitlement” (this was an argument made most vociferously by a young House member from Indiana named Mike Pence), and sponsors tried to seduce them with all sorts of add-ons promoting private Medicare plans and money for health savings accounts. 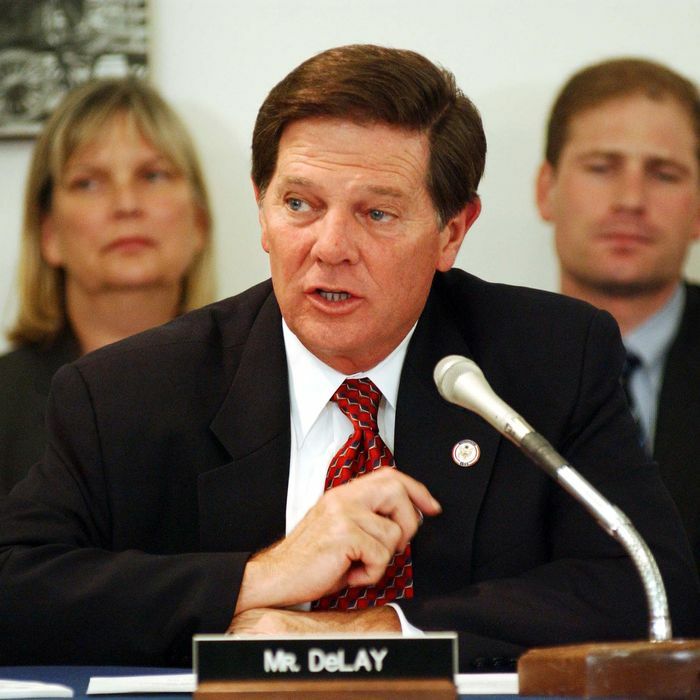 Tom DeLay bribed Rep. Nick Smith to vote for the legislation, using the political future of Smith’s son for leverage. DeLay was later reprimanded by the House Ethics Committee. The leadership told Rep. Jim DeMint that they would cut off funding for his Senate race in South Carolina if he didn’t vote for the bill. The 2003 experience also helps explain why so many conservatives (including Walter Jones) are holding out against the AHCA. A Medicare prescription-drug benefit was famously one of Karl Rove’s three big initiatives designed to create a durable Republican majority via strategic appeals to swing voters. The drug benefit was obviously for seniors. No Child Left Behind was for married women with children. And comprehensive immigration reform was for Latinos. All three of these initiatives lived in infamy among “true conservatives” for years. Conservative angst over NCLB helped build the backlash to Common Core. The “elite” Republican push for immigration “amnesty” backfired repeatedly and fed the movement that produced President Donald Trump. And conservatives never stopped attacking Medicare Part D, even as it became part of the familiar landscape of American life. The fear that they will again produce a “new entitlement” in health care that will ruin their legacy is a tangible part of the right’s resistance to AHCA. And if Paul Ryan and Donald Trump get this disreputable bill out of the House via the kind of nasty inducements and threats that characterized that long night in 2003, the sense of shame could eventually be the GOP’s undoing.